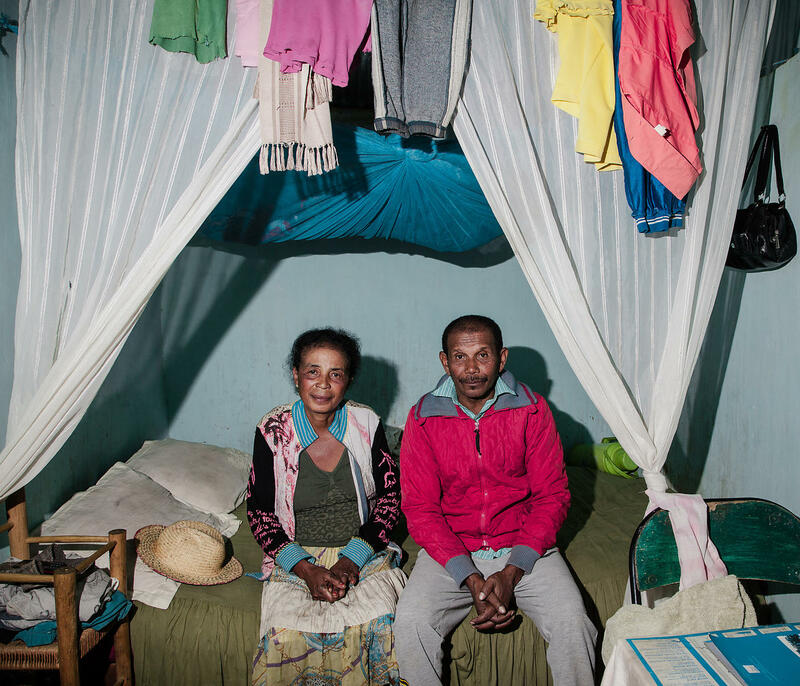 RIJASOLO | MANAKABAHINY - Mr Randrianarivony, 62 years old, married, ten children and about twenty grandchildren, is a farmer and fokontany chief of Manakabahiny-Nord since 2007, Eastern Madagascar. Village of 2975 inhabitants according to the 2014 census. The fokontany's office, where he works and receives his citizens, is in the bedroom. Not surprising to see his wife in bed when there are guests coming. "It's because she's a little sick with all that rain..." he said. 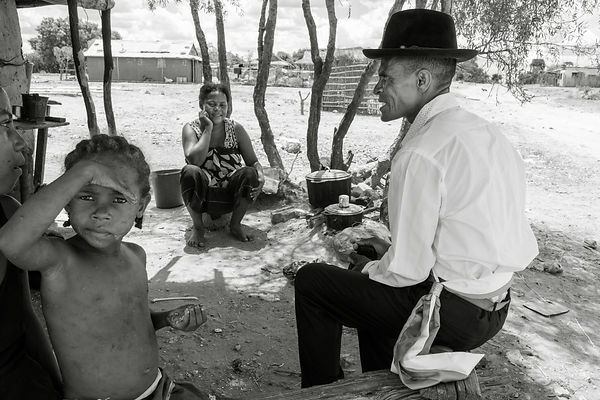 The Fokontany chief is the closest administrative authority to the Malagasy, whether in town or in the countryside. Randrianarivony explains that without the signature and stamp of Chief Fokontany, most of the administrative acts needed by the Malagasy could not be done. His budget to operate barely allows him to buy paper, notebook, pen or stamp. I have always considered the fokontany chiefs as a kind of "village chief" - the fokontany concept has existed since royal age - on which the other administrations, inherited from the colonial administrative system, rely a little too easily to disengage themselves from certain social or financial charges. 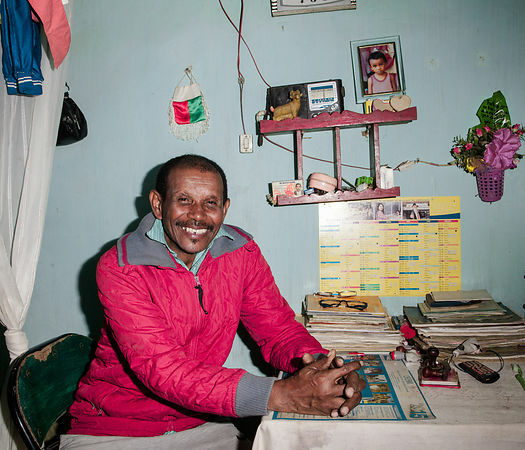 MANAKABAHINY - Mr Randrianarivony, 62 years old, married, ten children and about twenty grandchildren, is a farmer and fokontany chief of Manakabahiny-Nord since 2007, Eastern Madagascar. Village of 2975 inhabitants according to the 2014 census. The fokontany's office, where he works and receives his citizens, is in the bedroom. Not surprising to see his wife in bed when there are guests coming. "It's because she's a little sick with all that rain..." he said. The Fokontany chief is the closest administrative authority to the Malagasy, whether in town or in the countryside. Randrianarivony explains that without the signature and stamp of Chief Fokontany, most of the administrative acts needed by the Malagasy could not be done. His budget to operate barely allows him to buy paper, notebook, pen or stamp. I have always considered the fokontany chiefs as a kind of "village chief" - the fokontany concept has existed since royal age - on which the other administrations, inherited from the colonial administrative system, rely a little too easily to disengage themselves from certain social or financial charges.